PanPastels are one of our favorite materials for adding color to gorgeous paper flowers. Perfect for brushing or sponging onto paper leaves and petals, these soft pastels take your paper flower making to the next level. Crafters can blend and apply the dry color like fluid paint, the pastels are low dust and are highly pigmented for rich and pure colors. This package contains three sponges and seven 9ml pastel colors selected specifically for paper crafting by Lia Griffith and her team. New to PanPastel? Watch our handy how-to video here. Wonderful productThe coordination of needed colors made shopping for pan pastels easy. They are smooth and adhere well, with a nice finish on crepe paper and card stock. Excellent purchase. Smooth Foam BallMy order was incomplete 14 days ago. I got 1 ball of each I just got the complete order today. Very PleasedLove the shape and quality of it! Not flimsy. Love it!!! 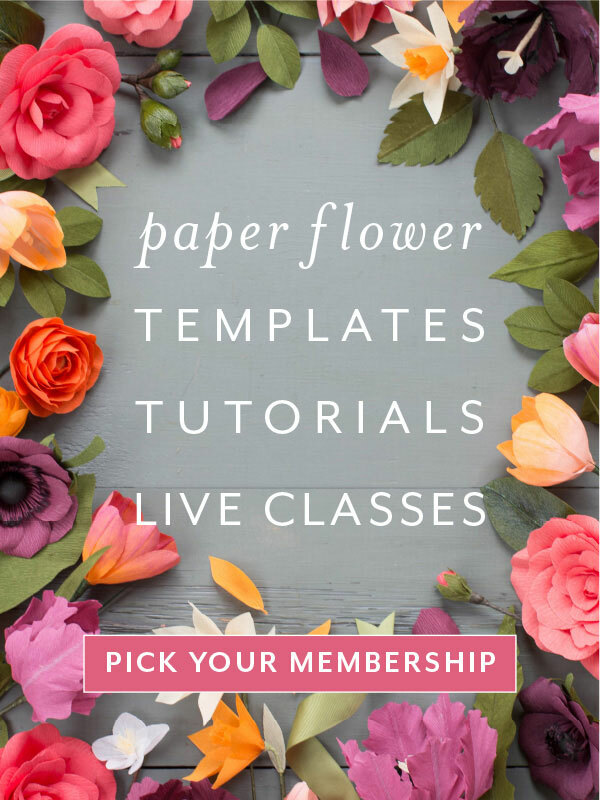 Fun ProjectI’d been intrigued by the beautiful paper flower & plant creations I’d been seeing at events and on social media. I wasn’t sure I wanted to invest the energy and money in starting from scratch, so I was delighted to find and purchase this flower kit. The kit is worth buying: my flowers actually resemble those on the package and it was convenient to have the petals and leaves pre-cut. For a novice and occasional crafter, this is the way to go. Great paper!I received my order from Lia. It was super fast delivery and the papers were wonderful. I have not gotten to play with it yet. Hopefully soon. But thank you Lia for carrying great products. International shippingWaiting for you all to ship internationally. Would love to be a member of your crafting team. Extra fine is right!I love this paper and used it as I taught my very first paper flower workshop! We used almost every color to create poppies. Thank you for providing such a quality product. Love PanPastels!I absolutely LOVE the PanPastels! In the past I used regular pastels and they are such a mess. This was so much easier with the sponge. The colors are perfect! Thank you Lia Griffith for finding amazing products to make our projects so much better! April W.
Slow ShippingThe product is lovely but waiting for it was excruciating. It started w/ a non-government delivery service (UPS or Fed Ex) and is delivered to the USPS for the final leg of the journey. Inefficient, given the post offices delivery issues. The shipping charge far exceeds the service level. Put the responsibility with a non-government operation and get it to Massachusetts within 3 business days rather than 10. Cotton Spun Balls -24 packThese way easier and effective to use than any I’ve found before. I just love the pre-drilled hole and the ease of covering. Really worth the purchase.